RIO DE JANEIRO, BRAZIL – A record number of foreign tourists entered Brazil in 2011, according to figures released by the Ministry of Tourism, increasing 5.3 percent to over 5.43 million. Along with the domestic tourism, measured by the number of Brazilian passengers landing at the country’s airports reaching nearly 69 million in 2010, double what it was in 2004, and it adds up to a large footprint. Ecologically sustainable destinations are becoming a larger part of Brazilian tourism industry, photo provided by Dehouche Travel. Now with Brazil hosting the Rio+20 UN Conference on Sustainable Development in June, a focus on preserving the natural environment that makes up so much of the tourism attraction has become a priority for many. “New hotels such as Reserva do Ibitipoca and Fazenda Catucaba (both driving distance from Rio) are dedicated to sustainable practices, from reforesting to producing their own food organically.” Irvine notes. 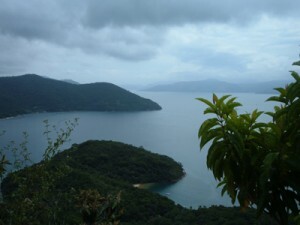 Coast of Ilha Grande, where authorities are registering it as a UNESCO world heritage site, photo by The Rio Times. While in the city of Rio, a tour guiding outfit focused on eco-sustainable tourism is Trekking no Rio. The company was started by three young, eco-friendly entrepreneurs who offer fifteen different hikes with an average of eight excursions per month to places like Cachoeiras do Mendanha, Morro da Babilônia or Serra do Vulcão, and secret Mata Atlantica hidden treasures. “We started guiding for free. Afterwards, as the demand increased we decided to invest, we got trained through courses and got registered at the tourism office in order to have more access to companies and associations,” says Jorge Samulha, guide and founder of Trekking no Rio. The next hike will be to Pedra da Gávea on June 16th for R$50 per person. In the state of Rio de Janeiro, a short bus ride southwest from the city are some other amazing locations to experience nature along the Costa Verde (Green Coast). 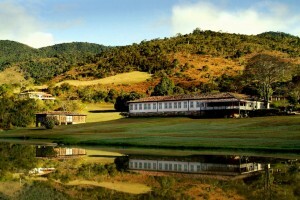 The most famous are probably Paraty and Ilha Grande. Ilha Grande has long been a popular tourist destination and weekend getaway for Cariocas and foreigners alike in search of the natural, rugged terrain and beautiful beaches. Arguably one of the most popular islands on the Brazilian coastline, steps are currently being taken to preserve its natural beauty and protect the wildlife by registering it as a UNESCO world heritage site. This is already the case with the famously pristine Fernando de Noronha island in Northern Brazil. This protected UNESCO World Heritage Site is so sensitive they charge visitors a preservation fee on arrival which is just over R$33 per day and increases steadily the longer the stay. This type of financial model may become more prevalent in some environmentally-sensitive locations, and perhaps even a norm for an industry which contributes to nine percent of the global GDP. Brazil has several other fantastic ecologically sensitive areas that are relatively unknown outside of the country. Local operators are striving to get the word out about them.